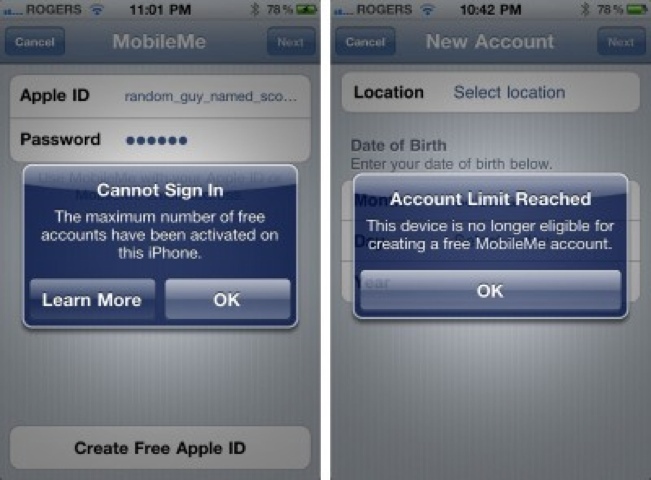 Apple Limiting Free Find My iPhone Access To Three Accounts? 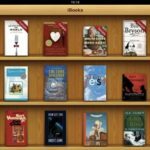 Alongside the iOS 4.2 launch, Apple also revealed that the latest iDevices (iPhone 4, iPod touch (2010), or iPad) could use the MobileMe Find My iPhone feature for free. While initially you had to have the latest iDevice, it was later found out that older iDevices could also use Find My iPhone for free if the additional account was created on the latest iDevice. For example, an iPhone 3G user could use Find My iPhone for free if their account is created using an iPhone 4, iPod touch (2010), or iPad. Well, it seems that Apple has imposed limits on the number of free accounts that can be created per iPhone 4, iPod touch (2010), or iPad. The maximum number of free accounts have been activated on this iPhone. This device is no longer eligible for creating a free MobileMe account. The other interesting find is that once created, the accounts cannot be removed. In other words, once three accounts are created on the iPhone 4, iPod touch (2010), or iPad, that’s it. No more additional accounts can be created. Normally this wouldn’t be a big issue, but users have yet to find some type of documentation or fine print regarding the account limit. So for users with limited access to the latest iDevices, it seems that the annual MobileMe subscription may still play a valuable role by giving users virtually unlimited access across many iDevices to Find My iPhone, among other MobileMe services.